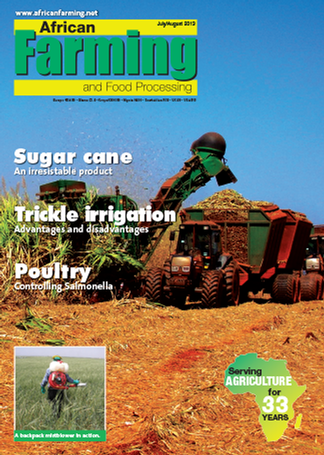 A leading magazine for agricultural and primary food processing industries. It contains news articles on the development and technical aspects of new agricultural materials, equipment and systems. Editorial also included articles on crops, livestock, weed and pest control, irrigation, agricultural equipment and primary food processing techniques and coverage of special events, as well as the annual suppliers directory and poultry review. Be the first person to tell us what you think about African Farming and Food Processing and you'll save £2.50 on your next purchase!